As an avid reader of YA books, I was desperate for something new and fresh. I’ve read my fair share of vampire romance, dystopian conflicts and fantasy fiction. 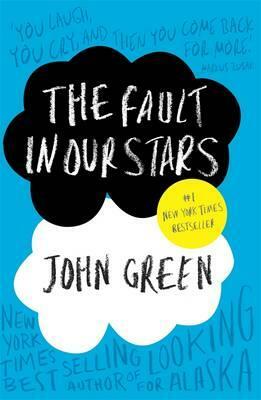 The Fault in our Stars, is the new novel by John Green and there is nothing supernatural featured within its pages. This book touches on sensitive subjects and it will definitely take you on an emotional rollercoaster. Sixteen year old Hazel Grace has spent most of her life battling a terminal illness. The experimental and fictional wonder drug called Phalanxifor has managed to buy her some time though no one is certain how long she has left. Hoping to lessen the pain of her death on her parents, Hazel retreats from those who are present in her life. Fearing she is entering into a deep state of depression, her parents insist she attend a support group specifically for those who are suffering or have suffered from cancer. It is here she meets Augustus Waters, an attractive and intelligent cancer survivor with a prosthetic leg. His attraction for Hazel is instant and the two form a deep friendship over books, in particular Hazel’s favourite, An Imperial Affliction. A book that tells the story of a young girl who has leukaemia. Both Hazel and Augustus are drawn to the novel for its real depiction of one’s suffering. The only problem is the book ends midsentence and the need to know what happens to their favourite characters sees them travel to Holland in search of the author. The Fault in our Stars is a bittersweet novel. It is about life and death but more importantly it is about having hope during the darkest times. This beautifully constructed book will make you laugh and it will make you cry.